PS4 Pro is a good partner for game fans, and it’s also a media player which is the role always overlooked. According to PlayStation support website, PS4 Pro has strict requirements of audio files, only supports playing MP3, AAC (M4A) audio format. It means you cannot play audio (FLAC/DTS/AC3/WAV) that aren’t PS4 Pro audio formats supported. Here comes the question: How can we play All Types of audio files on PS4 Pro? If you are audio enthusiasts and breaking too much of a sweat to have your music playing from your PC, just take a few minutes to get the answer. PS4 Pro supported best audio: MP3, AAC (M4A). FLAC, DTS, WAV etc are snot supported by PS4 Pro. So you need one professional audio converter for PS4 Pro to convert unsupported audio to PS4 Pro supported audio and video. With Pavtube Video Converter (Pavtube Video Converter for Mac), you can convert almost any audio files including FLAC/DTS/AC3/WAV to Sony PS4 Pro recognized MP3/AAC format. For advanced users, it is able to optimize audio files in the following aspects: trim, merge files into one, adjust channel/bitrate, etc. 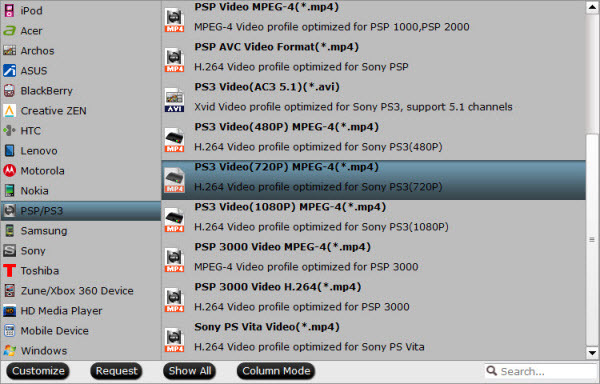 Besides transcoding audio to PS4 Pro supported formats, it also has the powerful feature of converting almost all kinds of videos like AVI, MKV, H.265, FLV, MOV, MP4 etc to PS4 Pro, PS4 etc. Then you’re able to play these multimedia files on the Sony PS4 Pro smoothly with almost the original video/audio quality. Now, just follow the tutorial below to play any audio files on Sony PS4 Pro freely. It supports to convert audio and video to PS4 Pro within several simple clicks. Convert video/audio files to 250+ formats, such as H.265, AVI, WMV, MKV, MP4, MOV, VOB, FLV, MP3, WAV, WMA, AAC, etc. Convert Sound Tracks to Audio Format: Choose any music file or extract audio from video and convert into WMA, AAC, MP3, M4A, etc. Convert audio and video to any devices, Game consoles, TVs, VR headsets etc supported formats. 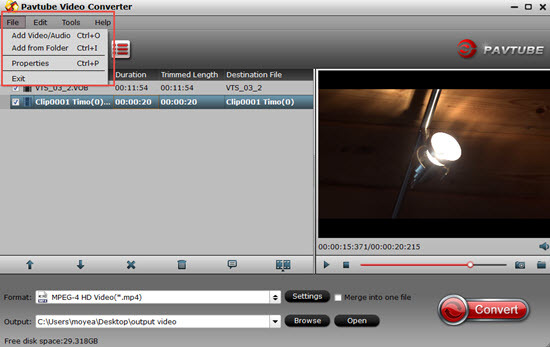 Powerful Video Settings: Split or merge videos, add subtitles/watermarks/effects, join videos and batch conversion. One, you can check out the menu bar and click on “File” then “Load Files” which can take some time if you have many files. The second option is dragging your files and dropping them to the timeline which is very easy and fast enough. The good thing with these two options is that you can add more than one file at the same time. 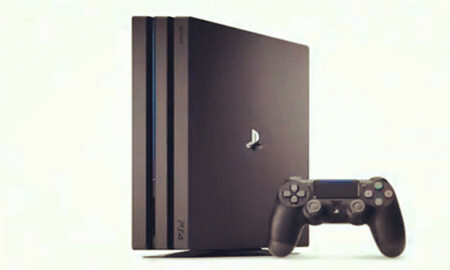 For streaming to PS4 Pro, “PS3 Video(AC3 5.1)(*.avi)”, “PS3 Video (480P) MPEG-4(*.mp4)”, “PS3 Video (720P) MPEG-4(*.mp4)”, “PS3 Video (1080P) MPEG-4(*.mp4)” from “PSP/PS3” column can all be suitable choices. In addition, you are free to convert audios to other game consoles. by choose the optimized profile preset. To finalize on the process of converting audio to PS4 Pro format, click on the “Convert” button and it will be successful in no time.